A former state telecom executive accepted at least 650,000 yuan ($94,024) of bribes to help a private company pocket more than 90 million yuan of illegal gains, a recently released court verdict showed. 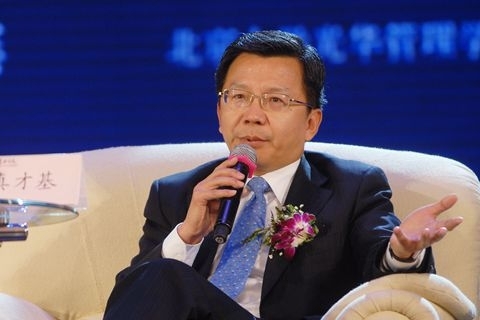 The executive, Zhen Caiji, is the former chairman of state-owned Datang Telecom Group and a former executive vice president of China Telecom Corp. Ltd., one of the country’s three state telecom operators. Zhen, 58, was placed under investigation by the Communist Party’s graft buster in July 2017. His case is still under investigation and no official statement has been published. 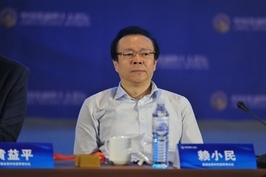 The party expelled Zhen for discipline violations in September 2017 and handed his case over to the judiciary department for criminal investigation. 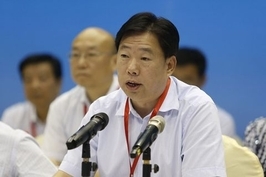 But a verdict in a bribery case involving another company that was recently released through the official court document database sheds light on Zhen’s case. According to the verdict, Jinma Bole International Consultancy Co., a Beijing-based public relation company, was accused of offering gifts such as luxury cameras to Zhen since 2010. 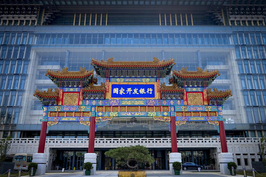 Jinma Bole reaped more than 90 million yuan of illegal gains from business favors offered by Zhen, the document showed. The company was slapped with a 400,000 yuan fine and all illegal gains were confiscated. Company Chairman Ma Bole received a three-month jail term, according to the verdict. In 2010, Jinma Bole’s Ma sent Zhen Leica cameras and lenses worth 320,000 yuan to get Zhen’s support for winning a Datang Telecom construction project while Zhen was head of Datang Telecom. The project, involving a research and development center in Xi’an, Shaanxi Province, resulted in 17 million yuan of illegal gains for Jinma Bole, according to Ma’s testimony. In 2013, Zhen illegally directed Datang Telecom to buy a 20% stake in the Guyana telecom company CT&T from Ma’s company for $40 million. The deal resulted in a net gain of $11.6 million for Ma, according to the verdict. In 2014, Ma again sent Leica cameras and lenses worth 280,000 yuan to Zhen as gifts. Ma’s company also offered 52,000 yuan of bribes to Zhen’s mistress, the verdict showed. Zhen spent more than three decade in China’s telecom industry. He headed Datang Telecom between 2007 and 2016. Founded by China Academy of Telecommunications Technology, Datang Telecom is a leading telecom equipment maker under the direct supervision of the central government. It is the main developer of China’s homegrown third-generation wireless technology TD-SCDMA. Zhen was named vice president of China Telecom in mid-2016. A person close to the matter said the investigation is focused on Zhen’s alleged violations during his tenure at Datang Telecom. In 2013, Datang Telecom’s Shanghai-listed unit paid 1.7 billion yuan to acquire an online game developer, Yaowan. However, Yaowan’s audit report showed that by the end of 2012, the company had total assets of only 146 million yuan with annual profit of 25 million yuan that year. The transaction raised the question of why Datang Telecom spent so heavily acquiring a company with little correlation with its own business, several sources close to the company said.